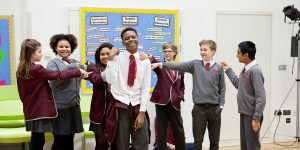 Our renowned education projects give schools access to free theatre tickets to Old Vic productions, as well as bespoke learning experiences at the theatre, in the classroom and online. We have worked with over 60,000 students from schools across London and continue to provide all our resources for free. 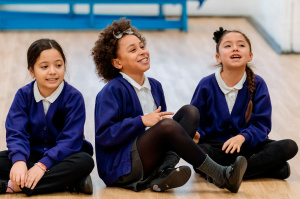 If you are a teacher looking to inspire and educate your students through drama, in our resource packs we offer free guides to workshop structure and content, as well as lesson plans linked to the National Curriculum based on the themes of each production. With this we hope to give you and your students practical material to develop critical thinking and performance skills and to aid creative learning. 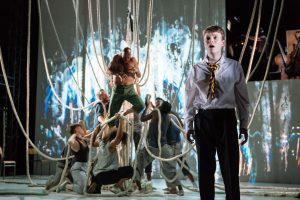 For most productions in The Old Vic season, we commission a bespoke resource pack. For schools either visiting us or participating in a project, we ask for a signed School Visits form so that we can ensure the safety of all young people involved.